Officer Mike Madruga is a 16-year veteran of the Miami-Dade Police Department, the largest Police Department in the Southeastern United States. Mike recently transferred and is assigned to the Narcotics Bureau/Street Gangs Unit. His duties include investigating violent street gangs and subsequently affecting takedowns and arrests of gang members. From 2002 to 2013 Mike was assigned to the Special Patrol Bureau/ Tactical Operations – Special Response Teams (SWAT). He was one of 30 officers assigned to this Full-Time Tactical Unit. His duties included High Risk Search Warrants, Armed Barricaded Subjects, Hostage Rescue, and many other Tactical Operations. Mike also functioned in the capacity of Cadre for several Basic SRT Courses. During this time, Mike has also functioned as an Instructor and course developer for the MDPD Rapid Deployment Force. This is self contained Mobile Field Force capable of handling many situations including incidents of civil unrest, post disaster relief and security in addition to many other large scale police operations. Prior to SRT, Mike was assigned to the MDPD Training Bureau where he functioned as a Defensive Tactics Instructor for 3 years. 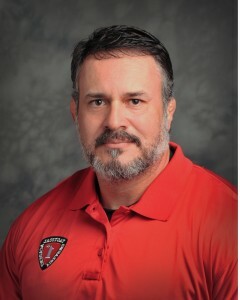 His duties included developing and facilitating Defensive Tactics course for In-service Officers as well as instructing the basic FDLE Defensive Tactics curriculum to Basic Law Enforcement Recruits. As a Patrol Officer, Mike worked in the Kendall District of Miami-Dade County. His duties included uniform patrol, crime intervention and prevention.